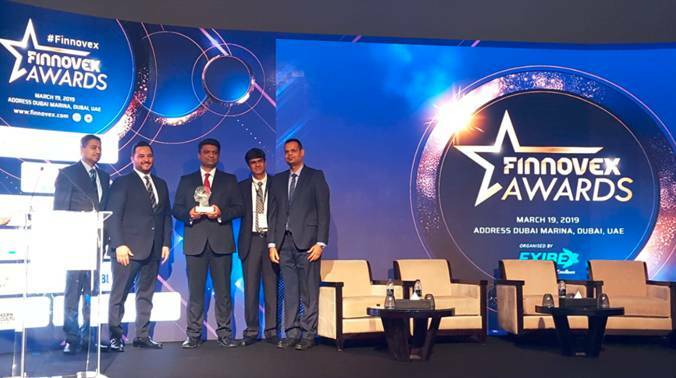 Comviva has bagged the Finnovex Award for the AFS-b wallet service in the Excellence in Emerging Fintech Solution category. This award is significant, as it is our first for the bwallet service, which has gained traction in Bahrain. Comviva’s payPLUS Unified Payment Acceptance solution has bagged the Best Digital Payment Processor award at the 9th India Digital Awards. Comviva and Cassava Smartech won Banking Technology Award for EcoCash in ‘Best Fintech Partnership’ category. The awards was presented on 13th December 2018 at a glittering award ceremony in London. 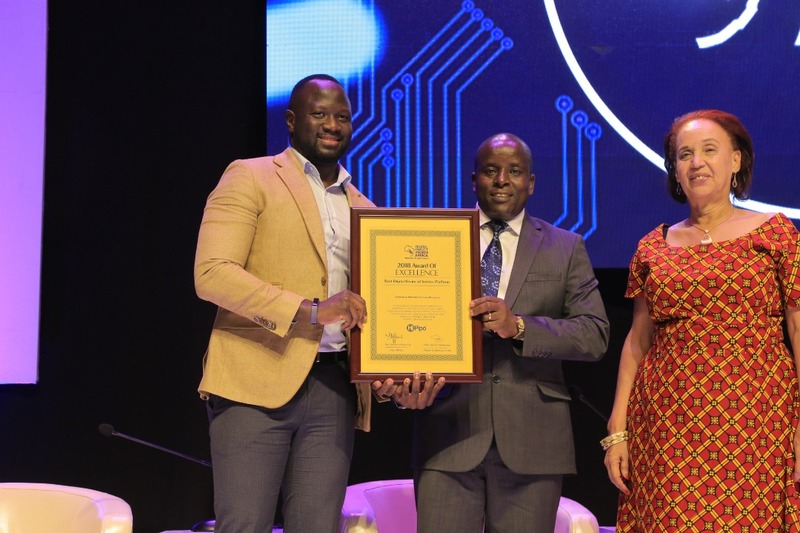 The award recognizes how various entities of Cassava Smartech and Comviva is collaborating to offer Zimbabwe’s largest mobile money service EcoCash and enabling financial inclusion for 80% of the country’s population. Comviva has been recognized at the CommsMEA Awards. 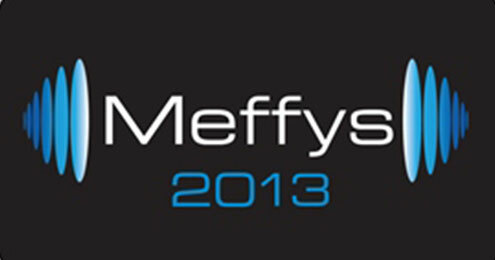 The company has been “highly commended” in two categories. 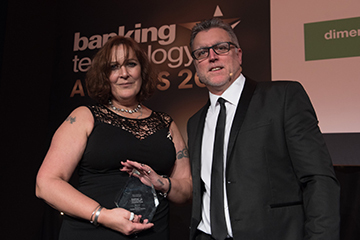 These include the Business Service Initiative of the Year for the Orange Money Rapido service and the Most Innovative New Service of the Year for Orange Money Rapido service. In May 2018, Orange launched Orange Money Rapido, Mali’s first closed-loop NFC payment service that enables merchants and consumers to transact digitally by just tapping a NFC sticker over NFC POS. 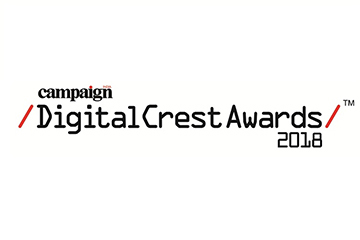 Comviva has bagged Campaign India Digital Crest award in the “Best Website Campaign” category for the www.10yearsofmobiquityMoney.com website. Comviva has been felicitated in the "Best Marketing through a Website/ Blog" category for the 10yearsofmobiquitymoney.com microsite. 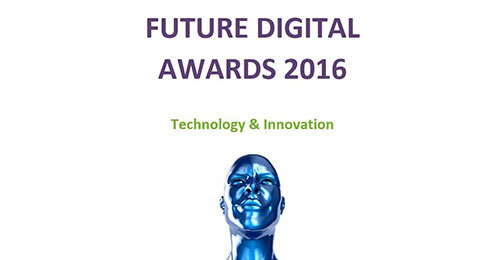 The award was jointly won with our digital agency, FrogIdeas. Comviva has won a “Leader” certificate for the A Decade of Transforming Lives campaign. 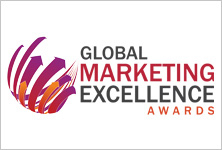 Comviva has obtained two felicitations at the Global Marketing Excellence Awards 2018, hosted by the World Marketing Congress. The awards were obtained in two categories. 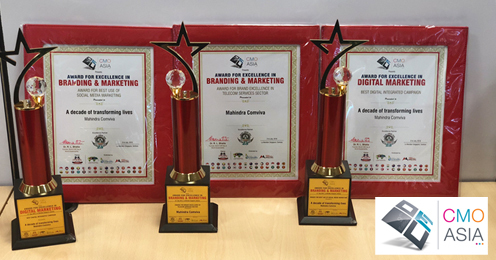 These included the Brand Excellence in the Telecom Service sector for The 2017: The Year of Content Marketing campaign and the Best Digital Integrated Campaign for A Decade of Transforming Lives campaign. Comviva has bagged awards in two categories. This included the Best Financial Services Website for 10yearsofmobiquitymoney.com. The company also bagged a special mention for the Content in a Social Media Marketing category for the A Decade of Transforming Lives campaign. 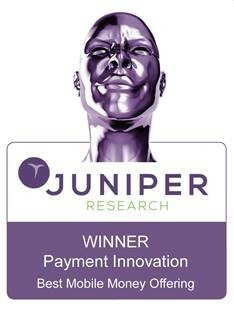 Comviva has been recognized at the Juniper Research Future Digital Awards for Fintech and Payments 2018. 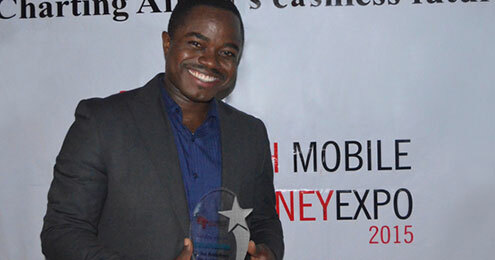 The company received an award in the “Best Mobile Money Offering” category for the EcoCash (mobiquity® Money) service. 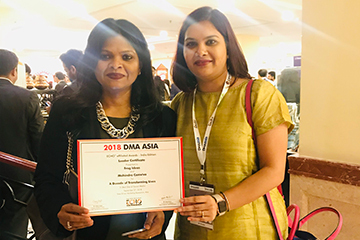 Comviva has bagged two awards at the Messaging & SMS Global Awards 2018. 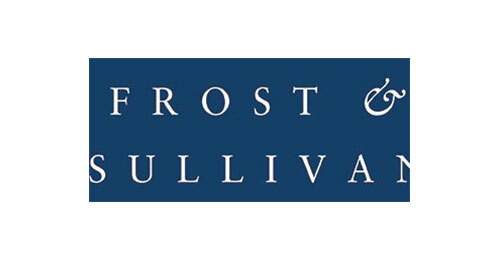 The company was recognized in the Best Messaging Security Product and Market Innovation - Best Messaging Innovation – Enterprise Solution categories. This is the company’s third consecutive award. 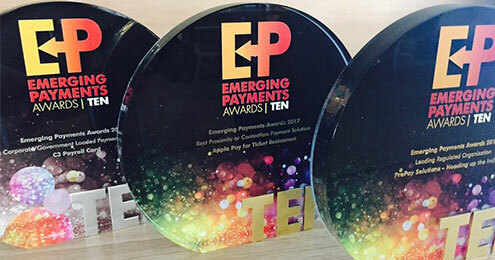 Comviva and Econet Wireless (Cassava Smartech) have been recognized at the Emerging Payments Award 2018. The award was bagged for the EcoCash service in the Best Financial Inclusion Payments Program category. The EcoCash service is run on Comviva’s mobiquity® Money mobile money platform. EcoCash leverages mobile technology to extend digital financial services to the unbanked and under-banked and create a cash-light economy. EcoCash is used by 8 million Zimbabweans and has provided financial inclusion to 80 per cent of the country’s adult population. 70 per cent of financial transactions in Zimbabwe happens through EcoCash. 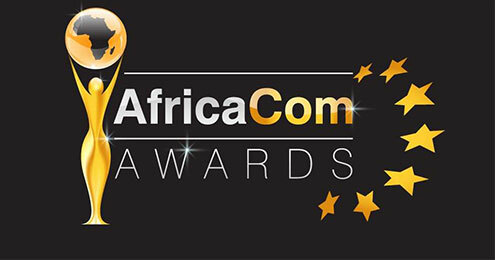 Comviva has bagged its third consecutive award at the AfricaCom Awards 2018. The company, along with Econet Wireless (Cassava Fintech) have been recognized in the Best Fintech Innovation category for the EcoCash Merchant Payments service. 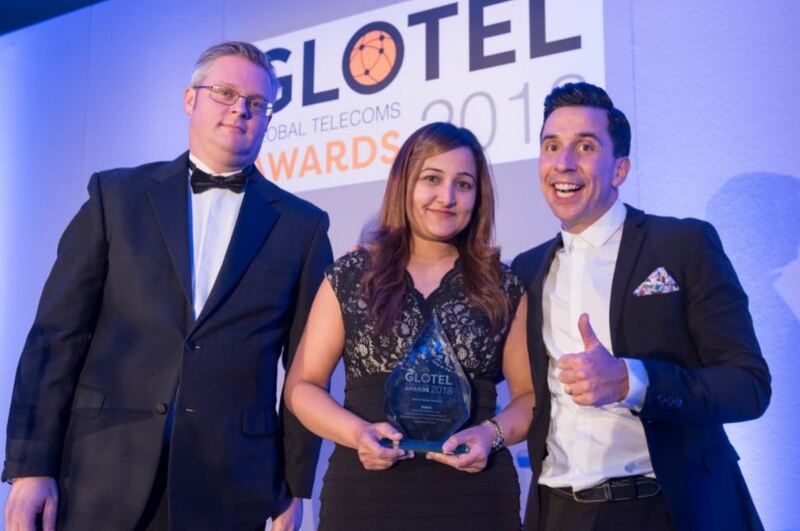 Comviva, along with Econet Wireless (Cassava Fintech) have been recognized at the Global Telecoms Awards (GLOTEL). The award was bagged for the Ecocash Merchant Payments service in the Mobile Money Mastery category. 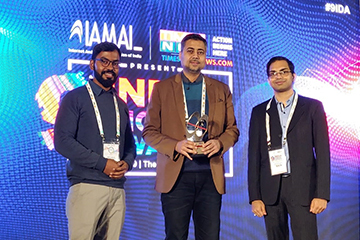 Comviva’s MobiLytix™ Incremental Revenue Through Incremental Sales solution (IRIS) (a part of our MobiLytix™ Retailer Management Suite) bagged the Cellular Operators Association of India’s India Mobile Congress and Aegis Graham Bell Award. 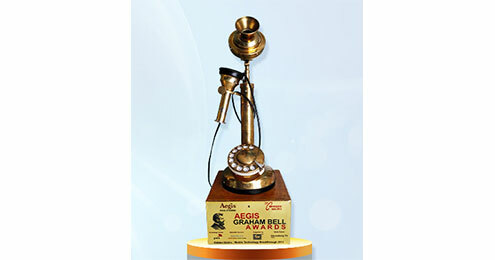 The company was felicitated in the Innovative Telecom Solution of the Year category. The Customer Value Management (CVM) solutions use context based insights and real time decisioning to significantly drive incremental customer revenues. 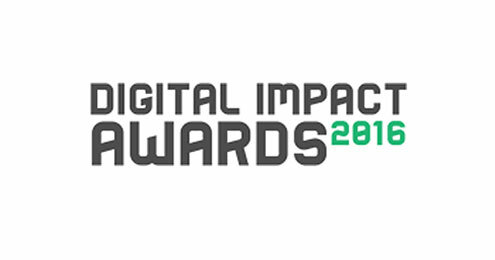 Comviva has won the third consecutive Digital Impact Award in the “Best Digital Financial Service Platform” category for our mobiquity® platform. This win is especially significant, as it recognizes our leadership position in digital payments as well as our continuous effort to innovate and make an impact towards the overall betterment of the society. mobiquity® Money is the world’s leading mobile money platform with over 60 deployments in more than 45 countries. It provides digital financial services to over 100 million consumers, processes more than 5.5 billion transactions amounting to over $110 billion annually. It delivers a host of mobile money services that transforms the way consumers save, borrow, transfer and spend money. Mahindra Comviva and Orange Mali, have bagged an award for the Orange Money Rapido service in the Best Emerging / Frontier Market Initiative category. Orange Money Rapido is a closed-loop NFC payment service launched by Orange Mali in May 2018. The service allows customers to rapidly and seamlessly pay with Orange Money at merchants by simply taping the Rapido sticker at Rapido POS terminals. 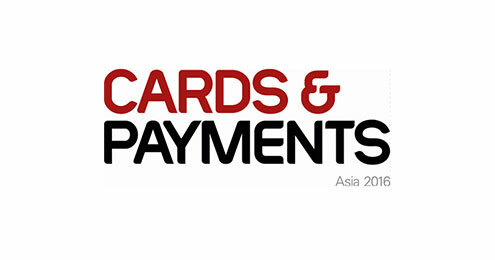 Comviva’s payPLUS Unified Payment Acceptance has won the Best Innovation award in the Vendor category at the 8th Annual Asia Communications Awards. Comviva’s payPLUS Unified Payment Acceptance solution empowers merchants to accept multiple digital-payment instruments such as cards, digital wallets, QR-Code payments, UPI and Biometric payments through a single interface (mobile-app/web-portal). payPLUS facilitates merchant self on-boarding and simplifies merchant’s operation by providing single log-in, reporting and settlement for all digital-payment channels. 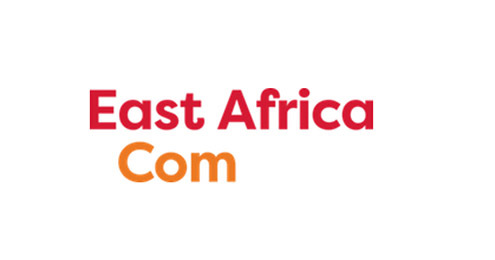 Mahindra Comviva won the East Africacom award in the Best Fintech Innovation category. The company was felicitated for the EcoCash Merchant Payments service, powered by mobiquity® Money. Comviva has bagged the RemTECH Award in the Remittance Synergies category. The award felicitated the Airtel Money Tanzania domestic interoperability service powered by Comviva’s mobiquity® Money platform. 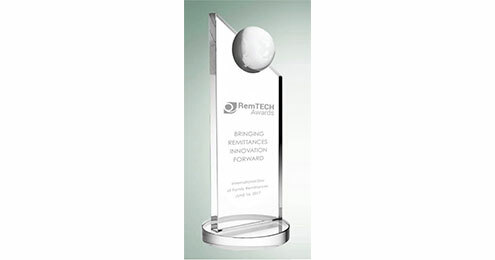 This is our second consecutive RemTECH award. We won the award in 2017 in the Visionary Game Changer category for EcoCash Diaspora service. This win recognizes our technology leadership in mobility and digital payments as well as our continuous effort to innovate and make an impact towards the overall betterment of the society. 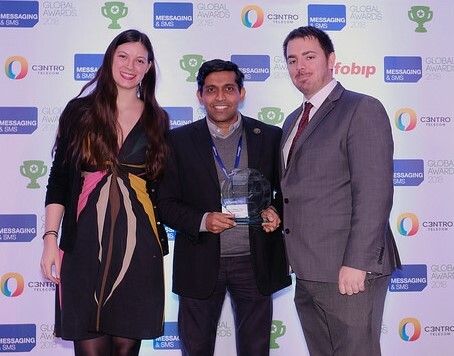 Mahindra Comviva has won the GSMA Global Mobile Awards 2018 in the “Best Mobile Innovation for Women in Emerging Markets” category for the EcoCash Savings Club. 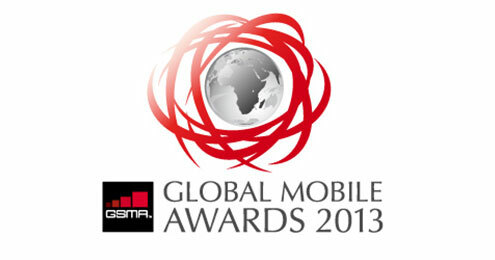 This is our second consecutive GSMA Award and the third for the company. 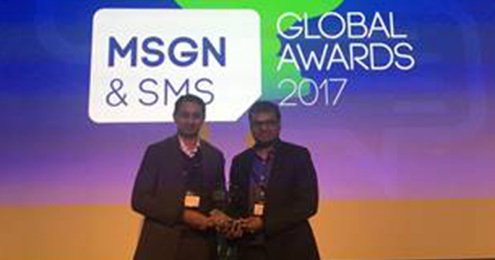 Ngage Messaging Platform has been declared the winners in the Messaging & SMS World 2017 Awards in the “BEST SMS ENTERPRISE PRODUCT ” category. 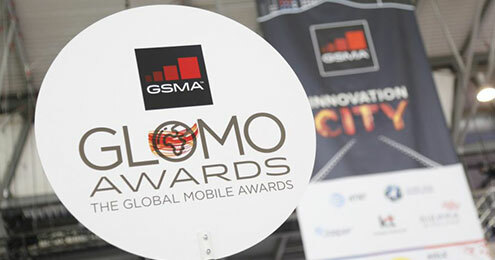 This is our second consecutive Messaging & SMS World award. 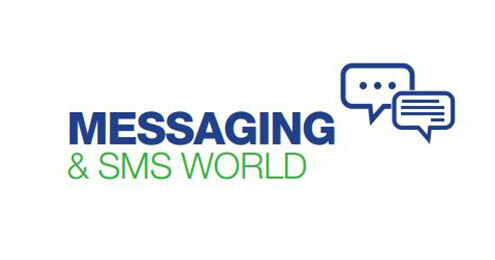 The Messaging & SMS World 2017 Awards celebrates innovation, best customer solutions and excellence in the global messaging marketplace. Mahindra Comviva has won two awards at the Drivers of Digital Awards 2017. 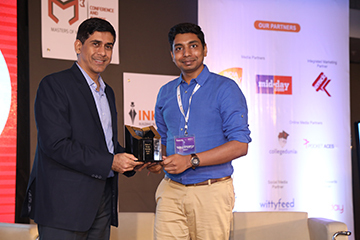 The ICICI Bank’s Pockets ‘Touch & Pay’ product, powered by mobiquity® Wallet won in the Best Mobile Payment Product or Service category. 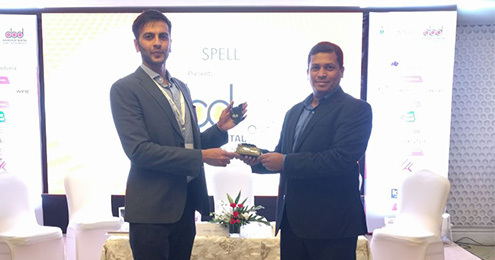 In addition, the Reliance JioMoney Merchant offering, powered by payPLUS was recognized in the Best POS Solution category. Mahindra Comviva, the global leader in providing mobility solutions, has won the CommsMEA Awards 2017 in the “Best Content Offering Initiative of the Year” category. Mahindra Comviva manages DU’s end-to-end digital content business offering such as movie portal, mobile games, mobile contest, WAP services, OTT app aggregation, SMS alerts etc. 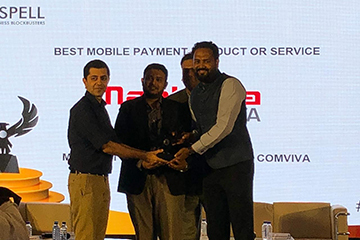 Mahindra Comviva, the global leader in providing mobility solutions, won the Payments Awards 2017 for the EcoCash Diaspora service in the “Best Cross-Border Payments Solution (Consumer)” category. The Zimbabwean diaspora sends billions of dollars in remittances every year. Sending money through formal channels remains expensive for most Zimbabwean migrants abroad, leading to a parallel industry of sending remittances through informal channels such as acquaintances and bus drivers. 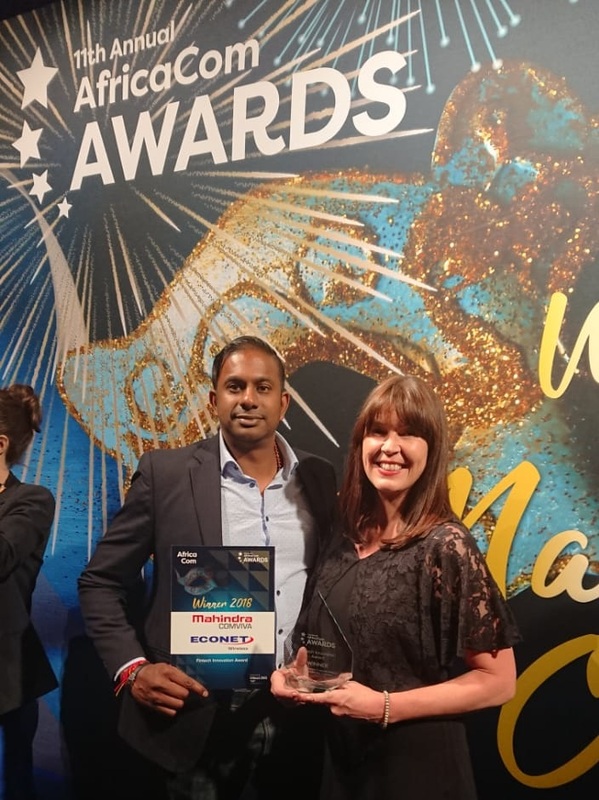 Mahindra Comviva and Econet Wireless have jointly won the AfricaCom Award in the “Fintech Innovation Award” category. This award is for EcoCash Diaspora services. EcoCash, which was also recognized as the best mobile payment service in the world earlier this year (GSMA GLOMO Awards 2017) is managed by Cassava Fintech (Cassava) on behalf of Econet Wireless Operations. 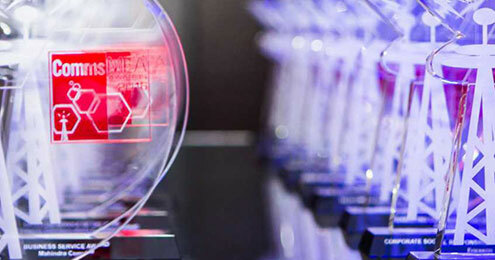 This is Mahindra Comviva’s second consecutive AfricaCom Award and third in the past five years. Mahindra Comviva has been recognised as “Highly Commended” in the “Mobile Payments – Best Consumer Offering” category for EcoCash service at the Future Digital Awards for Commerce & Fintech 2017. This was conducted by Juniper Research. 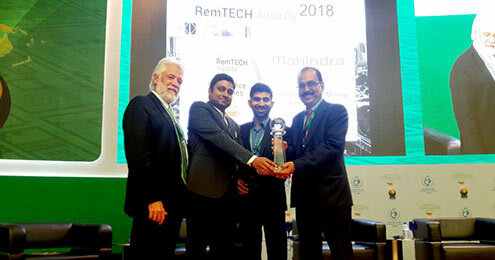 Mahindra Comviva, the global leader in providing mobility solutions and Econet Wireless, Zimbabwe’s largest mobile operator have jointly won the RemTECH Award in the “Visionary Game Changer” category. The award was given for EcoCash Diaspora service which is powered by Mahindra Comviva’s mobiquity® Money platform. Mahindra Comviva has bagged two awards at the CEM Asia Excellence Awards 2017. The company received a gold award in the “Best Use of Mobile” and a silver one in the “Best Digital Experience” categories for the EcoCash mobile money service. 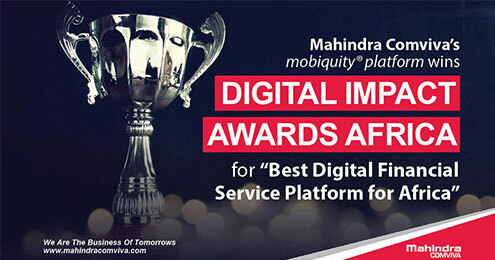 Mahindra Comviva has received accolades at the Digital Impact Awards Africa for the mobiquity ®platform. 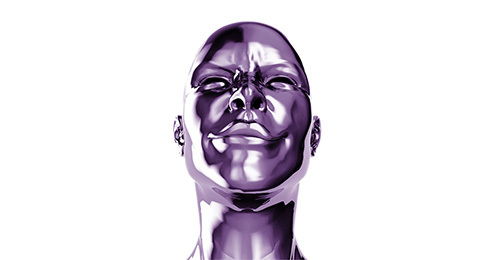 The company was recognized in the “Best Digital Financial Service Platform for Africa” category. 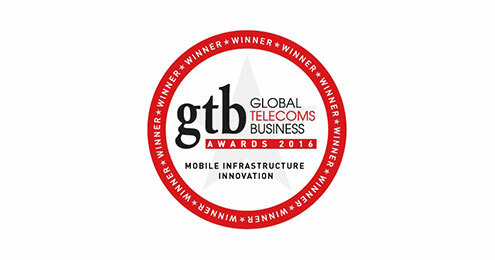 Mahindra Comviva has bagged an award at the Global Telecoms Business Innovation Awards. The award was won for the iPACS – Single Screen offering, in collaboration with Airtel in the “Software & Applications Innovation” category. The iPACS – Single Screen offering is helping Airtel to provide the highest level of customer satisfaction to its customers in India and abroad. It also helps to improve ARPU by improving FTR and thus reducing cost of operations. 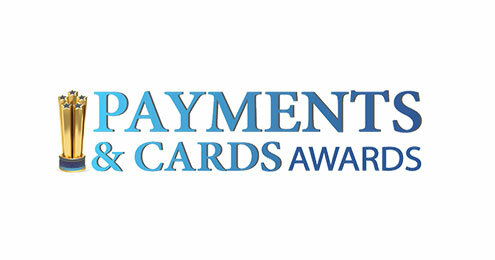 Terrapay, the world’s first mobile payment switch has received an award for the “Best Payments Innovation of the Year” at the Payments and Cards Awards, held during the Payments & Cards Summit, 2017. 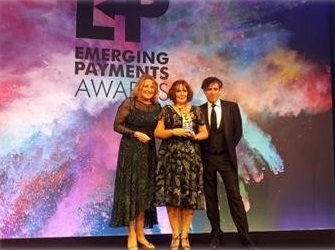 TerraPay has been recognized as the best payments innovation for its revolutionary interoperability as a service solution which has been successfully implemented across the globe in a short span of two years. Mahindra Comviva, the global leader in providing mobility solutions, has bagged an award at the 7th Annual Asia Communication Awards 2017. 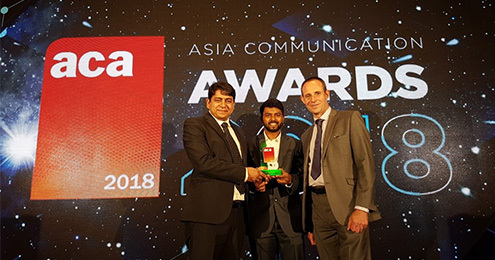 The award was given for the Idea Cellular Private Recharge Service, powered by Mahindra Comviva’s PreTUPS ™ in the “Social Contribution” category. While there were many worthy entries in this category, the elegance of Mahindra Comviva’s solution won over the judges. 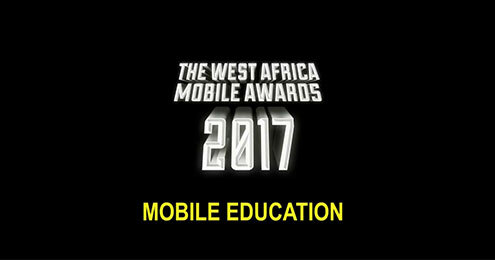 Mahindra Comviva, the global leader in providing mobility solutions, and Airtel Niger, Niger’s leading mobile operator have won the West Africa Mobile Awards 2017 for Airtel Money service in the Social Impact category. 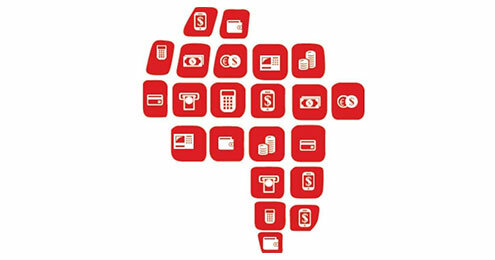 Airtel Money (M-KOUDI) is the largest mobile financial service in Niger. It is powered by Mahindra Comviva’s mobiquity® Money. 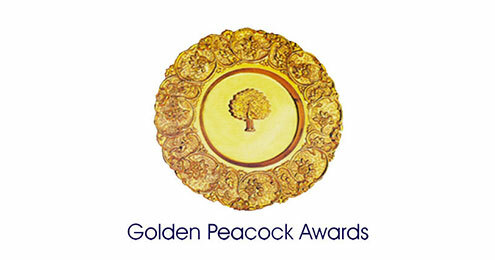 Mahindra Comviva has won the Golden Peacock Innovative Product/Service Award – 2017 for PalmLeaf. PalmLeaf is a mobile based micro learning solution which matches learning outcomes with the lifestyle needs of the users. The awards were presented at the IOD India’s “27th World Congress on Business Excellence & Innovation held on 19th April, 2017 in Dubai. Mahindra Comviva and Econet Wireless have jointly won the CashlessAfrica Awards 2017 in the “Best Low Remittance Provider” Category. EcoCashDiaspora provides Zimbabweans with a robust and safe platform for remitting money. EcoCash Diaspora is powered by Mahindra Comviva’s mobiquity® Money platform. The money received in the EcoCash wallet can be used for digital payments or cashing-out at any of the EcoCash agents in Zimbabwe. Mahindra Comviva has won the GSMA GLOMO Awards 2017 in the “Best Mobile Payment Solution” category for EcoCash service powered by mobiquity® Money platform. This win is especially significant, as it recognizes our technology leadership in mobility and digital payments as well as our continuous effort to innovate and make an impact towards the overall betterment of the society. 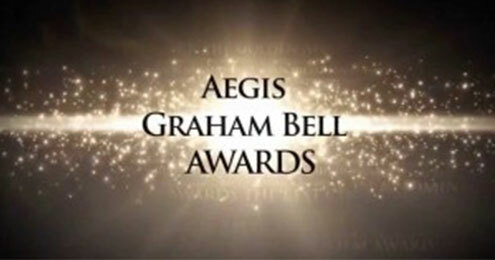 Mahindra Comviva has been felicitated at the Aegis Graham Bell Awards. The company won three awards for TerrayPay, which was recognized in the “Innovative Payment solution” category, RADAR, which was lauded in the “Service Innovation” category and for mobiquity® Wallet mTap in the “Innovation in mCommerce” category. 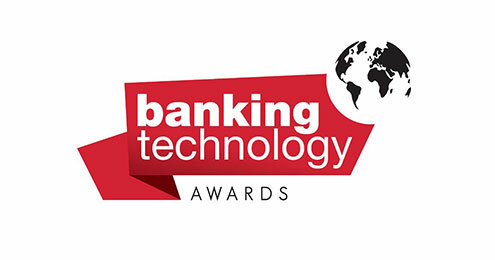 Mahindra Comviva has been lauded at the 17th annual Banking Technology Awards. The company has been “highly commended” in the Best Consumer Payments Initiative category for the ICICI Bank Pockets’ Touch & Pay service. Mahindra Comviva’s A2P monetization solution has been adjudged the winner in the “Best A2P SMS Messaging Provider” category. The A2P solution’s holistic approach to A2P messaging helps operators to create new opportunities of revenue enhancement, control leakages in A2P revenues and monetize revenues lost through grey route traffic. Mahindra Comviva, along with Airtel Tanzania and Nearex, have jointly won the prestigious AfricaCom Award 2016. The award was received in the “Best Mobile Financial Service” category for Airtel Money “Tap Tap Tanzania. 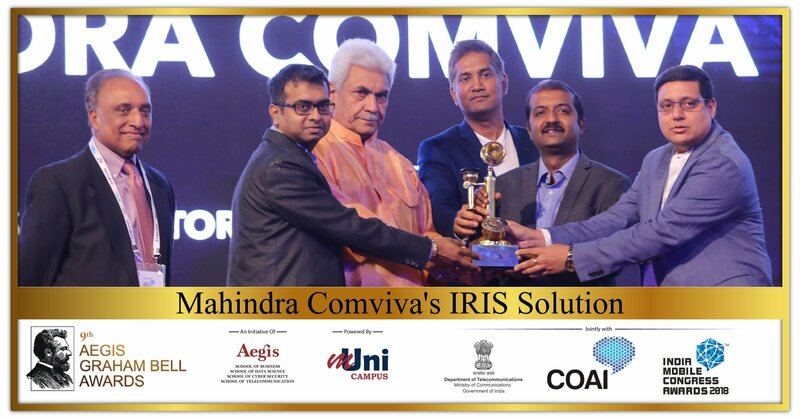 Mahindra Comviva’s Digital Service Management offering has received the Business Service Award at the 11th edition of the annual CommsMEA Awards. This product has been deployed at Ooredoo Kuwait. Mahindra Comviva manages the end-to-end digital services ecosystem for Ooredoo Kuwait, including services procurement, programming and discovery, usage reports and analysis and overall service operations management. 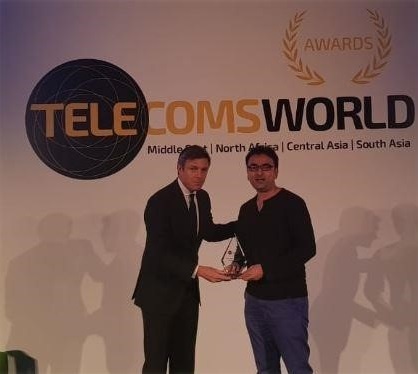 Econet Wireless, the largest mobile operator in Zimbabwe, and Mahindra Comviva, the global leader in mobility solution have jointly won the Future Digital Award 2016,organized by Juniper Research. The award was received for EcoCash Diaspora service in the Best Mobile Solution – Money Transfer and Remittance category. Mahindra Comviva’s mobqiuity® Money has been recognized as the Best Mobile Financial Service Platform for Africa at the Digital Impact Awards Africa 2016. 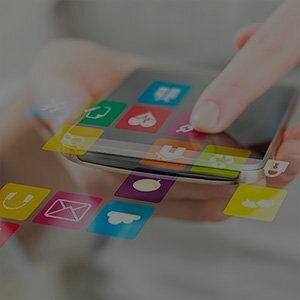 With this product, our vision is to leverage mobile technology to bring the financially underserved into the formal financial mainstream and create cashless economies across the globe. 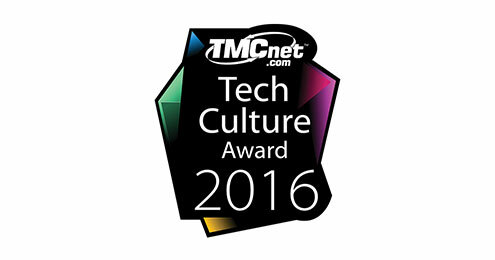 Mahindra Comviva has received top honours at the TMCnet Tech Culture award 2016 for fostering a creative and collaborative workplace environment. With a grading system ranging from B to A+, Mahindra Comviva secured ‘A+’ for its superior tech culture which makes it an ideal place to work. Mahindra Comviva, the global leader in providing mobility solutions, has received top honours at the Smart Card & Payments Awards. The company bagged the award in the “Best mPayment Innovation” category for AsiaHawala, the first mobile money service launched in Iraq. AsiaHawala, powered by Mahindra Comviva’s mobiquity® Money has helped the general Iraqi citizen to overcome inefficient and corruption infested payment channels by providing access to “quick and seamless” mobile based payments and transfers anytime, anywhere. 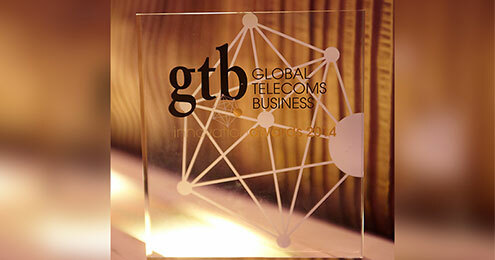 Mahindra Comviva, the global leader in providing mobility solutions, has won top honours at the GTB Telecoms Innovation & Technology Awards 2016. 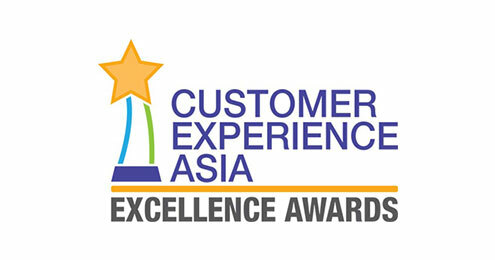 The company received two awards in the Consumer Service category. The first award was for the “Tap Tap” NFC Merchant Payments service in Airtel Tanzania and the second was for the EcoCash Savings Club in Zimbabwe. 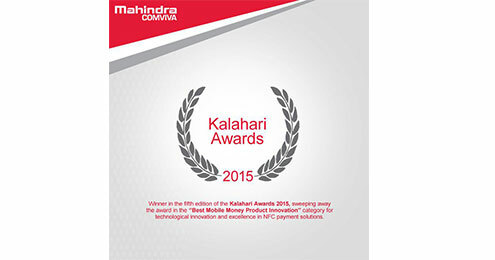 Mahindra Comviva, the global leader in providing mobility solutions, and EcoCash, the leading mobile money service provider in Zimbabwe are the joint winners at the 6th edition of the Kalahari awards. 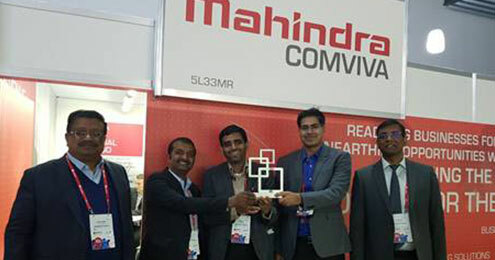 The award is the second consecutive win for Mahindra Comviva. The award was received for EcoCash Savings Club in the Best Mobile Innovation Category at the 6th Remittance & mobile moneyexpo. 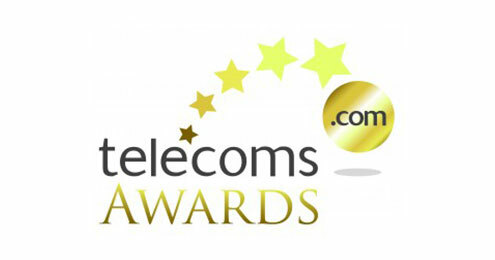 Mahindra Comviva, the global leader in providing mobility solutions, has won the Telecoms.com Awards 2015 for its mobiquity® Money deployment for Airtel Timiza. 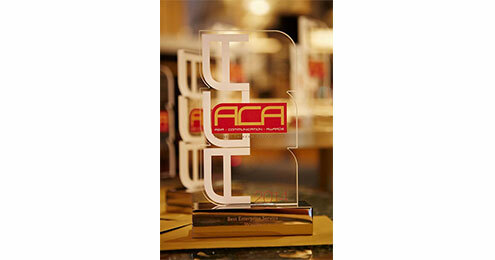 The company received the award in the ‘Best Mobile Payment Solution’ category with AFB. Mahindra Comviva, the global leader in providing mobility solutions, has emerged as the winner in the fifth edition of the Kalahari Awards 2015. 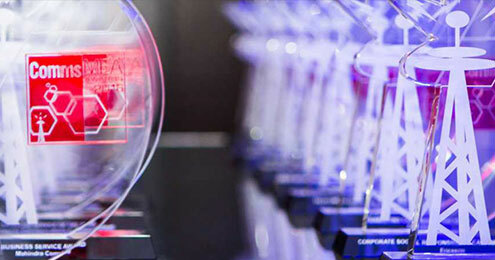 The company has received the award in the “Best Mobile Money Product Innovation” category for technological innovation and excellence in NFC payment solutions. 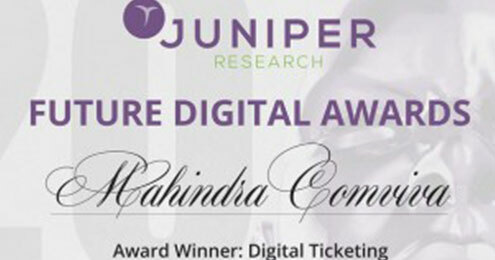 Mahindra Comviva, the global leader in providing mobility and financial solutions, has received top honors at the Future Digital Awards 2015 organised by Juniper Research. Its mTicketing service for Bangladesh Railways has been declared winner in the ‘Digital Ticketing’ category. The company was also highly commended in the ‘Contactless Payment’ category for Airtel Money Tanzania NFC Payments. 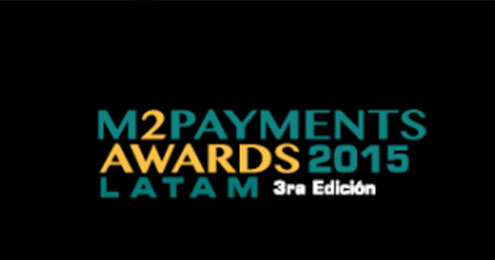 Mahindra Comviva’s mobiquity® Money has won the M2Payments Latam Awards 2015 in ‘Best Mobile Money Platform’ category. This is a special award as the company usually win for services and not for their ‘mobiquity® Money’ platform and also this is the company’s first LATAM regional award. 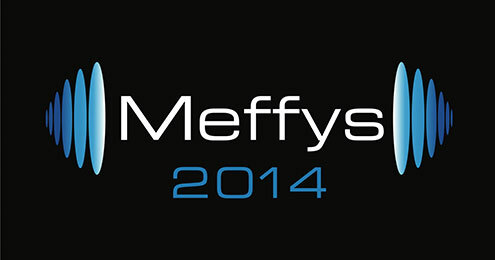 Mahindra Comviva, the global leader in providing mobility solutions has received top honor at the Meffys 2014 Awards. Econet’s EcoCash$ave powered by mobiquity® Money received an award in the Mobile Service category for effectively promoting financial inclusion amongst under-banked Zimbabweans. 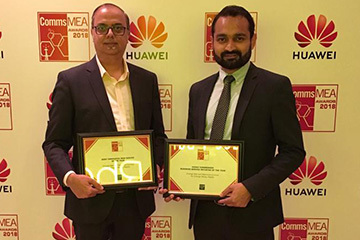 Mahindra Comviva has won two major awards at the Global Telecoms Business Innovation Awards 2014 for the mobile POS (MPOS) solution, launched in collaboration with ICICI Merchant Services and for providing Managed VAS Services to Airtel Africa. 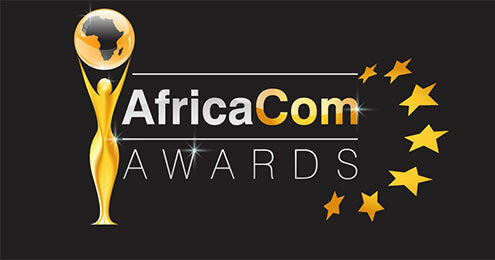 Mahindra Comviva won the AfricaCom Awards 2013 in the “Best mobile money service” category for EcoCash, a mobile payment service offered by Econet Zimbabwe and powered by mobiquity® mobile money solution. 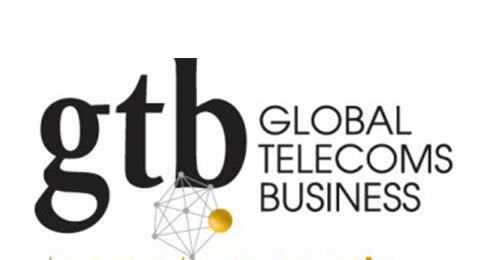 Mahindra Comviva has won two major awards at the Global Telecoms Business Innovation Awards 2013 for EcoCash mobile payment services to Econet Zimbabwe, powered by its mobiquity® platform and Managed Music services to Airtel Africa ‘Hello Tunes’. 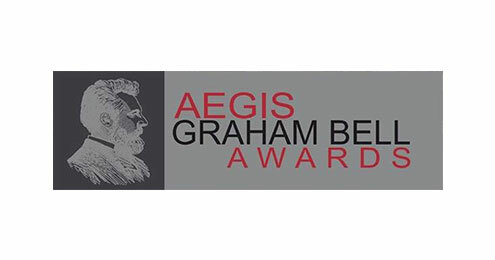 Mahindra Comviva has won 2 major awards at the Aegis Graham Bell Awards 2013 for MyLikes, the recommendation engine platform and Revenue Plus solution.